BRAND NEW 4 BED/3.5 BATHROOM HOUSE @ SOLARA RESORT ! This is your chance to own part of the magic. Solara Resort boasts Mattamy Homesâ trademark stylish exterior and well-appointed interior. Explore our collection of resort-style vacation Townhomes and Single-Family Home Designs, with each home including a private swimming pool for you and all of your guests. 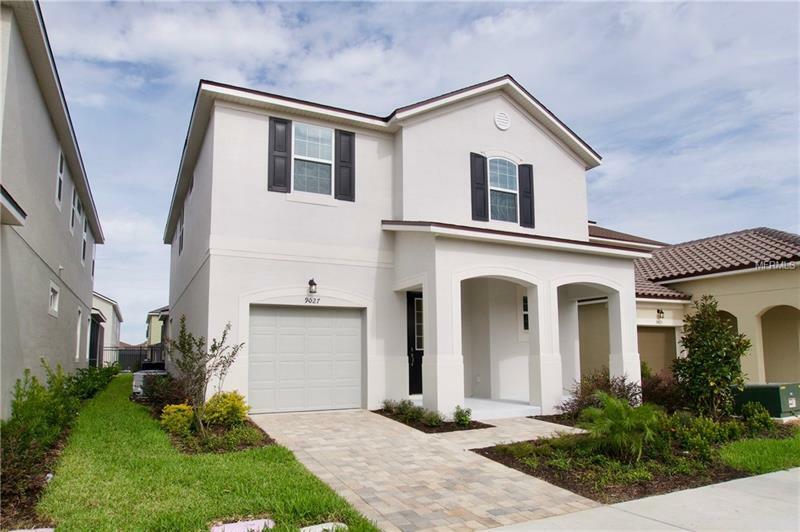 Perfectly located off US-192, nearby highways I-4 and US-27, just 8 miles to world class theme parks, and a short commute to world-famous Orlando Area Attractions, and Local Beaches. Enjoy easy access to popular shopping and dining areas along International Drive or at the Prime Outlet Mall. This gated resort-style community has it all from an on-site restaurant and coffee bar to a zero-entry pool, pool bar, fitness center, basketball court, soccer field, volleyball court, gaming stations, sports simulator, yoga lawn, playground, splash pad, waterslides, FlowriderÂ®, and more! THERE IS NO INVENTORY AVAILABLE FROM THE BUILDER TILL 2020 !!! PERFECT investment for short term rental house ! Located very close to the clubhouse, additional parking spaces very close to the house. With pool and hot tub. HOA fee includes resort security (secure gated community), use of clubhouse and amenities, landscaping house, irrigation house, cable and internet house, daily trash pick up and CDD is included in HOA fee.